NASA’s Fermi telescope has just detected a gamma-ray burst near a source of gravitational waves. The Fermi telescope from NASA managed to pick up a signal near a merger of black holes linked to gravitational waves. The signal came in the form of gamma ray bursts sent from a source of gravitational waves. Last year in September, scientists found energy waves which shackled space-time on our planet. 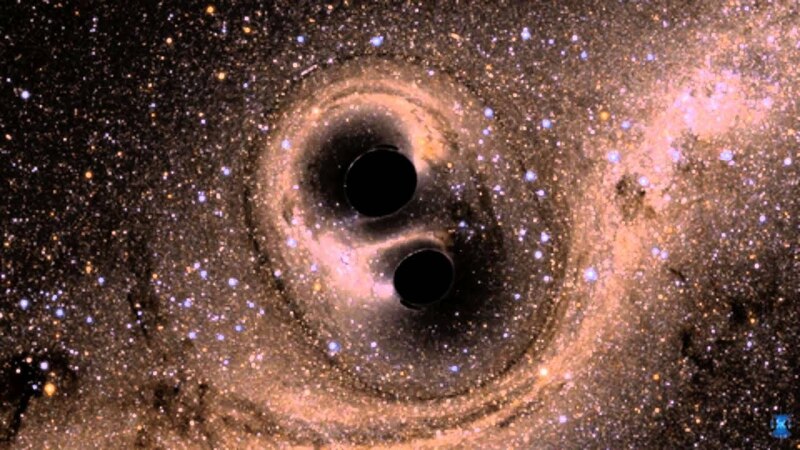 The event was detected by the LIGO (Laser Interferometer Gravitational-Wave Observatory) centers and seemed to have been caused by one black hole merger. This was the first time gravitational waves were identified, a revolutionary discovery set to pave the road to other findings of the universe. Gravitational waves can be considered ripples through the universe that contain energy. They are the result of the universe’s most powerful processes and can occur in certain gravitational interactions. Gamma rays present the highest energy waves among the electromagnetic events, in spite of having small wavelengths. These rays are created by the strongest and hottest celestial objects, such as regions near black holes or neutron stars. Extremely sensitive to gamma rays, the Fermi telescope can convey a vast view of the sky without being obstructed by our planet. This makes it the best device for identifying gamma-ray bursts which are very difficult to detect since they only last for a maximum of two seconds. Unfortunately, the centers where such gravitational waves are observed do not render high quality images. As more such centers are expected to emerge, experts believe the blurry vision will improve in time. At the moment, the facilities can cover about six hundred square degrees of the sky’s curve. While this is quite a wide area to search for the faint gamma-ray bursts, the first detection can help researchers narrow down considerably the area for their studies.